Kerrang! has listed their '50 Greatest Rockstars In The World Right Now', including M.Shadows. You can read an excerpt below. 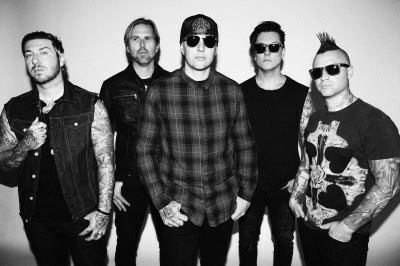 When Avenged Sevenfold unveiled “The Stage,” their seventh studio album in the autumn of last year, they did so with not a second’s advance warning. 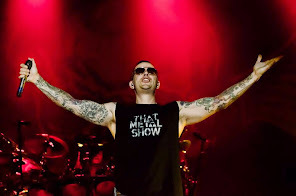 After the world marveled at this level of chutzpah, vocalist M. Shadows fronted the group on a tour of the UK’s largest arenas. A rockstar in the old-school sense of the term, M. is a stand-alone singer, a crowd-rouser charged with working the room while his band of musicians make merry hell behind him. In his home country, this makes the 35-year-old the rarest of breeds: a homegrown frontman of an arena metal band, and one of the true keepers of the faith of metal in America.